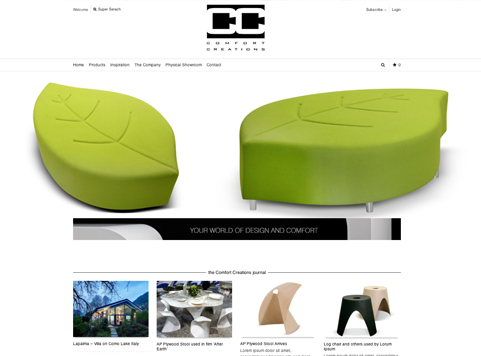 Comfort Creations provide “Inspiration for the great indoors” through their stylish and innovative furniture. Underdog provides this great brand with all their website requirements including its design, creation and hosting and have done so for almost 10 years! Comfort Creations remains a loyal client, who believe “Underdog understand” their unique and clean European aesthetic. We built, implemeneted and hosted their old site and now we are proud to say we have created a new and exciting web presence for them. Visit www.comfortcreations.co.za to view the full site.